Cardiac surgeon Dr. Michael McGrath (center) holds the SynCardia temporary Total Artificial Heart during a news conference held at Sentara Heart Hospital on March 5 with cardiologist Dr. John Herre (left) and Total Artificial Heart patient John Martino (right). Mr. Martino became the first Total Artificial Heart patient to be discharged home from Sentara using the Freedom® portable driver on March 7. Replacing the diseased heart with the Total Artificial Heart helps keep the body functioning close to normal. SynCardia Systems, Inc., manufacturer of the SynCardia temporary Total Artificial Heart, announced today that on March 7, Sentara Heart Hospital in Norfolk, VA, discharged its first Total Artificial Heart patient home using the Freedom® portable driver. “We expect Mr. Martino to be able to exercise, visit with friends and family, and lead a relatively normal life now that he is home,” said cardiologist Dr. John Herre, medical director of the Sentara Advanced Heart Failure Program. John Martino, a 63-year-old grandfather of four, is the second patient to be implanted with the Total Artificial Heart at Sentara and the first to be discharged from the hospital to wait for a matching donor heart at home. 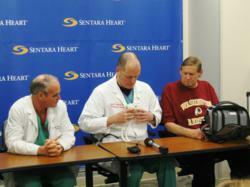 Sentara’s first patient, who received the Total Artificial Heart on Oct. 26, 2011, was successfully transplanted in January. Mr. Martino was first diagnosed with hypertension in his early 20s when the draft board rejected him for service in Vietnam. Since then, his heart health has continued to decline – he's had his aortic valve replaced, double-bypass surgery and a pacemaker. In need of a heart transplant and running out of time, Mr. Martino’s doctors decided his heart was too damaged for a left ventricular assist device (LVAD). On Jan. 19, he was implanted with the Total Artificial Heart as a bridge to transplant. 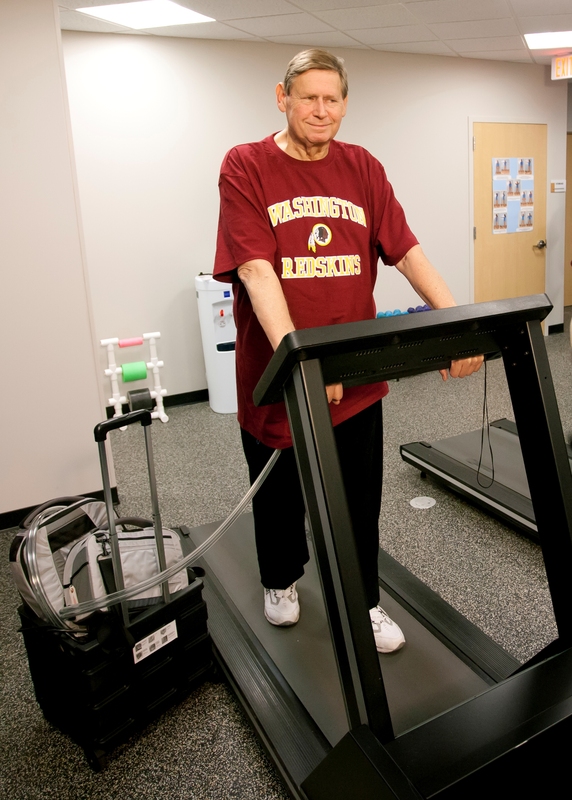 Less than a month later, Mr. Martino’s condition had stabilized and on Feb. 20, he was switched from the 418-pound “Big Blue” hospital driver to the 13.5 pound Freedom portable driver, the world’s first wearable power supply for the SynCardia Total Artificial Heart. He was discharged from the hospital on March 7. The Freedom driver is CE approved for use in Europe and undergoing an FDA-approved Investigational Device Exemption (IDE) clinical study in the U.S. CAUTION – The Freedom® portable driver is an investigational device, limited by United States law to investigational use. SynCardia Systems, Inc. (Tucson, AZ) is the privately-held manufacturer of the world's first and only FDA, Health Canada and CE approved Total Artificial Heart. Originally used as a permanent replacement heart, SynCardia's Total Artificial Heart is currently approved as a bridge to transplant for people dying from end-stage biventricular heart failure. There have been more than 1,000 implants of the Total Artificial Heart, accounting for more than 250 patient years of life. Similar to a heart transplant, SynCardia's Total Artificial Heart replaces both failing heart ventricles and the four heart valves, eliminating the symptoms and source of end-stage biventricular failure. Unlike a donor heart, the Total Artificial Heart is immediately available at SynCardia Certified Centers and does not require expensive anti-rejection medication, which can cause subsequent complications. It is the only device that provides immediate, safe blood flow of up to 9.5 liters per minute through both ventricles. This high volume of safe blood flow helps speed the recovery of vital organs, helping make the patient a better transplant candidate. In March 2011, Fast Company magazine ranked SynCardia #20 in its annual list of the "World's 50 Most Innovative Companies" for "giving mobility to artificial heart recipients." Weighing 13.5 pounds, SynCardia's Freedom® portable driver is the world's first wearable driver designed to power the Total Artificial Heart both inside and outside the hospital. The Freedom driver is CE approved for use in Europe and undergoing an FDA-approved Investigational Device Exemption (IDE) clinical study in the U.S.
SynCardia Total Artificial Heart patient John Martino is the first to be discharged home from Sentara Heart Hospital. He said what he is looking forward to most about going home is sleeping in his own bed and watching his four grandchildren grow up.